There are over 1,000 hotels in Paris France and the choice can be overwhelming. There are two steps for finding a hotel in Paris that suits your needs. 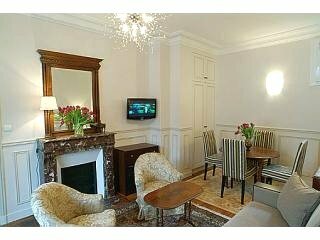 Hotels in Paris France can be as low as €80 and go up from there. There are many family run hotels in Paris. The rooms are small, en suite or with bathroom down the hall. The really good ones get booked fast so you need to plan well ahead to get a room. There are also a number of budget chain hotels in the city that offer great value, are modern, clean and compact, like the Ibis Hotel Paris. They do not however have that old world charm. What they do offer is the ability to control your own heat and air conditioning (important for really cold or hot weather). Boutique hotels straddle the line between luxury and moderate. They’re smaller than the large hotels and offer an understated comfort and luxury. I have enjoyed staying at several of this type of hotel in Paris which I’ve reviewed here. Large, luxurious rooms, extra amenities like thick bathrobes and in-house gyms. Ideal location near the sights. Lots of service. Open this Paris city map to get a visual picture of the city. The further away from Notre Dame at the exact center of the city, the less expensive the hotels and the more travel time to the top tourist attractions. Knowing how much you want to spend can make choosing a neighborhood much easier. Some neighborhoods, like the Louvre are very expensive and you’ll be hard pressed to find cheap hotels. While the Marais although quite trendy has some great budget hotels. I've hand picked the hotels in Paris France within the center of the city where you’ll have easy access to all the sights. The city is divided into arrondissements numbered 1e through 20e. 1e being at the exact center of the city and 20e being furthest away. Most cultural points of interest are located in the lower numbers. I’ve compared neighborhoods, reviews and price and chosen a concise list of the best of the best. Remember that hotel quality can be time sensitive so it’s best to select three that you like and then check the most recent reviews link provided to make sure they’re not under renovation (ie noise, dust) or have slipped in quality. On-line booking companies usually offer the most competitive price. However if on-line it shows no availability, contact the hotel directly. I have found rooms available directly through the hotel and at only a slightly higher price.